Whether sampling classic California bistro fare at Delphine or reminiscing over drinks and light bites at Station Hollywood, W Hollywood offers hotel guests an array of enlightened dining options. Savor the innovative menu designed by Chef Sascha Lyon at Delphine Eatery & Bar, the signature restaurant of our Hollywood Blvd. hotel. 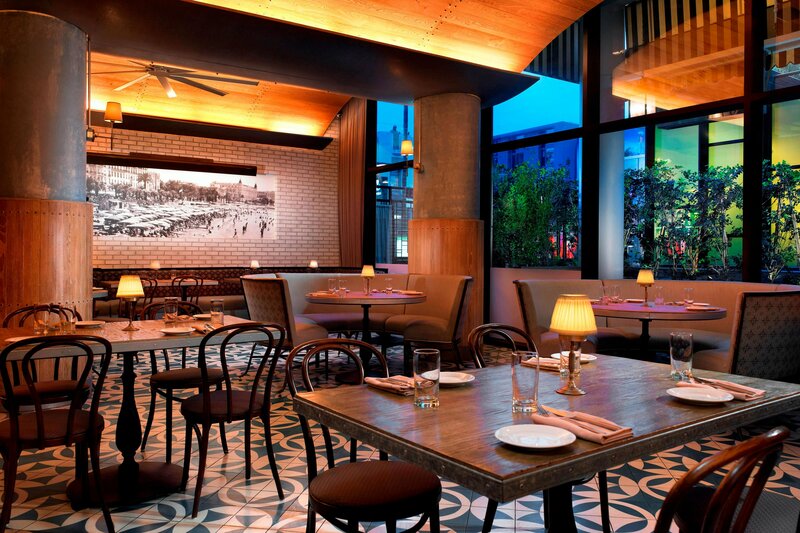 American classics, made with a California twist, as well as tantalizing libations await. 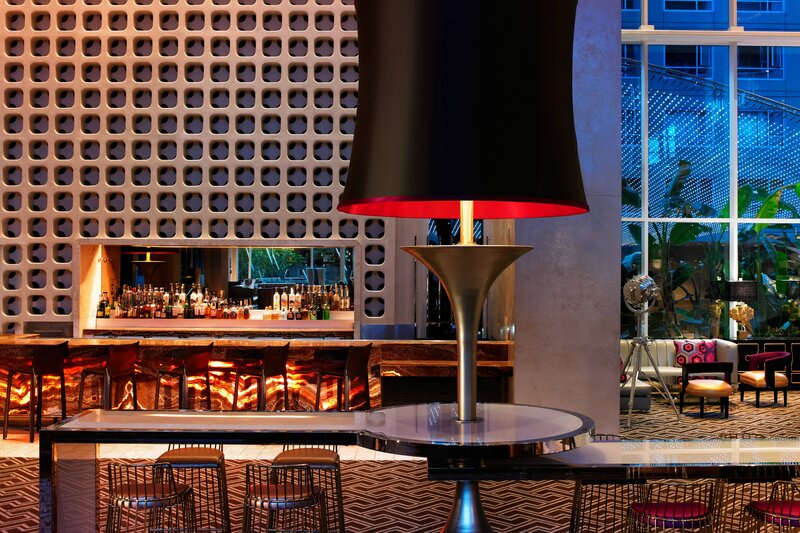 Relax and people watch with friends as you sip on handcrafted cocktails and sample light bites in the aptly named The Living Room, in our Hollywood hotel. Communal tables and device charging stations make this a fun spot for impromptu creative meetings. Discover the delights of Station Hollywood, adjacent to Hollywood Blvd. 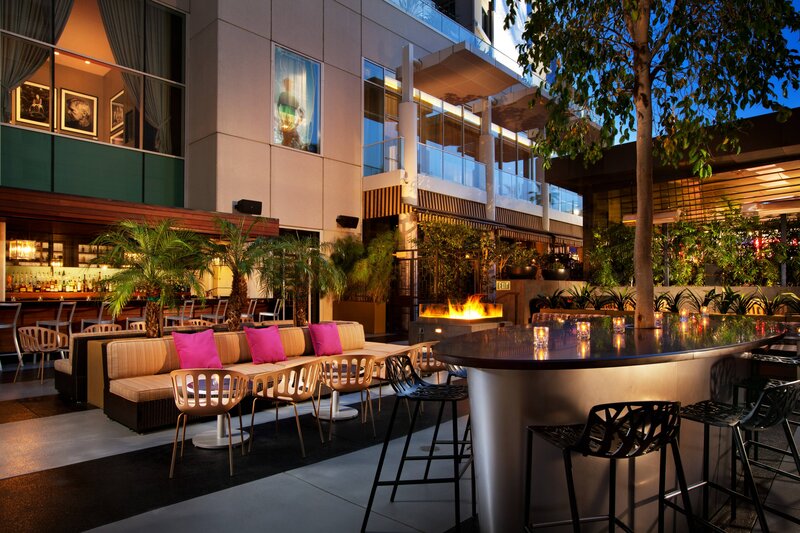 It&apos;s an ideal outdoor space to sip libations, listen to DJs spin and dig into restaurant bites, as you relax after meetings or touring West Hollywood and beyond.